Crock-Pot Food Warmer, a great alternative to the company microwave! Every now and again something comes along that can make a big impact on my working life. My new Crock-Pot Food Warmer is one of those items. I came across this product while on Amazon recently and what particularly caught my eye were the many (over 600 of them) reviews with an overall average of 4 ½ stars. I put a lot of stock in Amazon reviews so I started reading some of them. Nearly every one of them was exemplary and after reading a couple of the less than 5-star reviews, the issues that were brought up weren’t even factors for me. Someone commented on the fact that the cord wasn’t long enough. For me that wasn't an issue. Check out my YouTube video below to see me using it in my office cubicle! 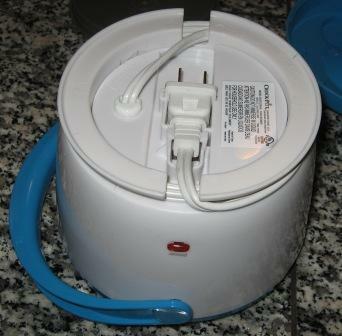 While it is in heating mode I usually place mine on the floor under my desk (even though in the video above I simply kept it on my desk) and plug it into the power strip that all of my other corded accessories are plugged into. 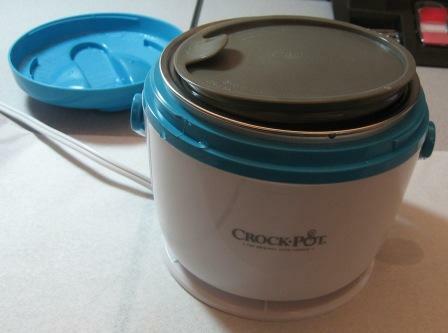 If I wanted to I could simply run an extension up into a cord slot (as I did in the video) and heat up my crock-pot on my desktop. But why keep it on my desktop to heat it up? It would only take up space in my mind and you know how I feel about clutter! The cord length is 3 feet which is more than sufficient for me and probably for you too. 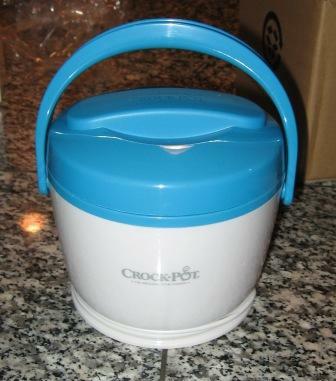 I've been using it for a couple of weeks now and I love it! My wife is even making it a point to make more soups than she previously had in the past. 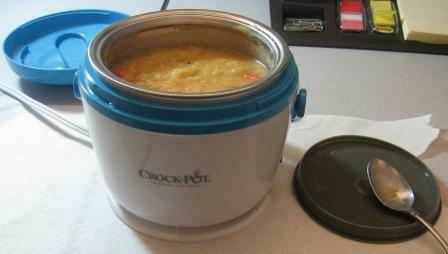 But this Crock-Pot Food Warmer isn't only good for soups. 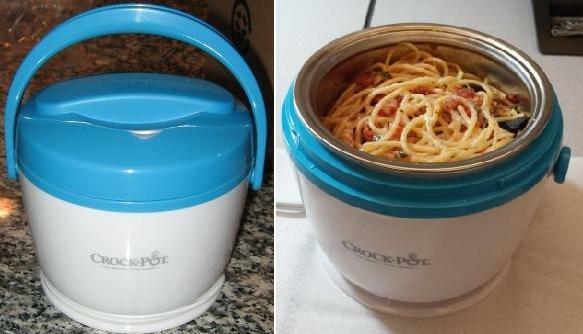 I heat up leftover pasta, enchiladas, and basically anything in this rather unique unit. 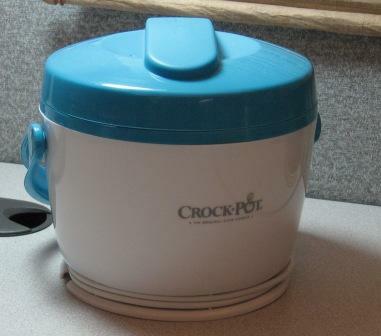 I used to think that my Black and Decker One Cup Coffee Maker was my favorite cubicle accessory but I think this one has taken over! 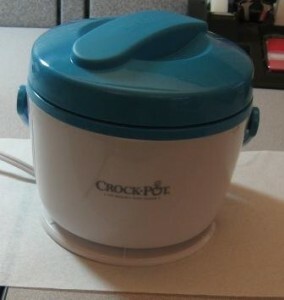 I always say that a picture says a lot more than words so please check out my images below of my new food warmer when I just got it and using it in my office cubicle! 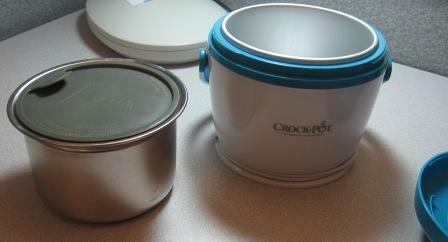 The Crock-Pot Food Warmer comes with 4 different components: the outside container, the inside removable metal container for your food, the lid for the metal container, and the screw on lid for the outside container. 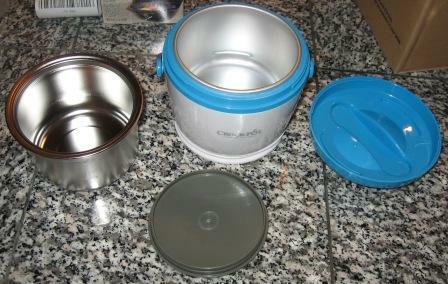 The metal insert with the plastic lid contains the food ready to heat. The metal insert is what is placed inside the unit for heating. I simply clean it out after using, bring it home, and add my new meal for heating for the next day. 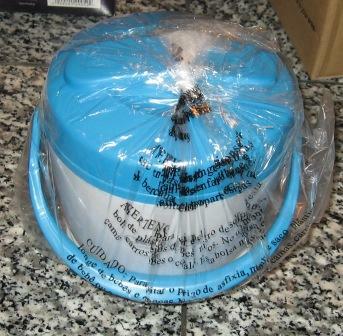 Ready to eat after warming! 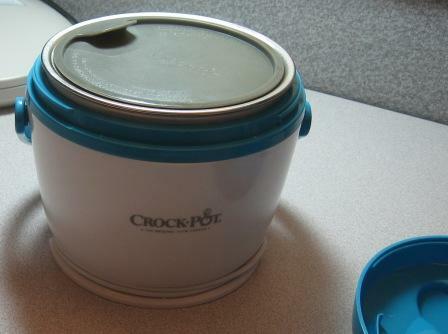 The plastic lid makes a convenient place to rest my spoon or fork. 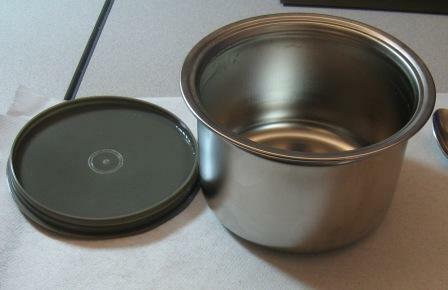 Great for heating up leftovers or soup from a can at work. 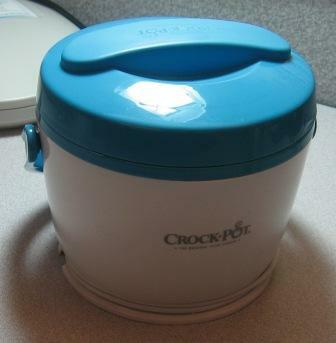 If you have been looking for a way to avoid the company microwave and still have a warm lunch, this Crock-Pot Food Warmer is a solution that I highly recommend! And if you think that 20 oz is not enough for you, it is plenty for me and I am a big eater. I'm so glad I found this product not only for my benefit, but to also be able to tell you about this ultimate cubicle accessory! As usual, if you have any questions about this product or any other product on this site, please either leave the question in the comments or contact me via my Contact Me page!